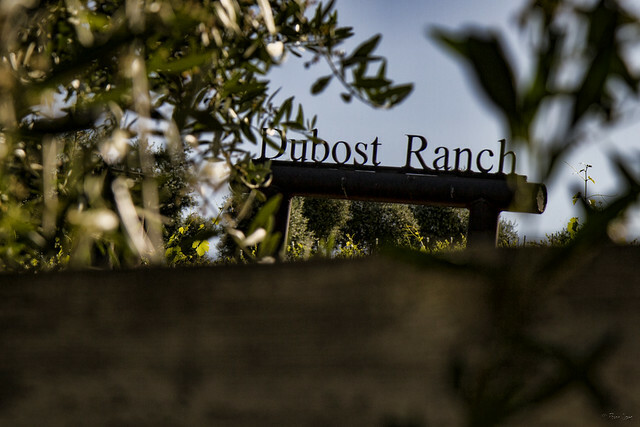 At Dubost Ranch in the Paso Robles area, we talked to Kate, one of the owners. She shared almost as much about the history of the Dubost Ranch as she shared about the wine that they produce. It was fun to talk with someone who enjoys and values her town's history as much as we enjoy learning about Downey. 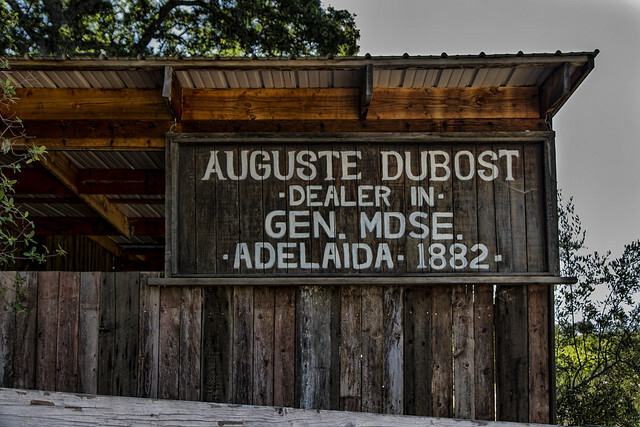 The ranch in Adelaida has been in the Dubost family since 1882, when Auguste and Pauline Dubost, who had immigrated from France, settled here to open a general store to cater to the gold and silver miners. They also ran the post office and a dance hall. 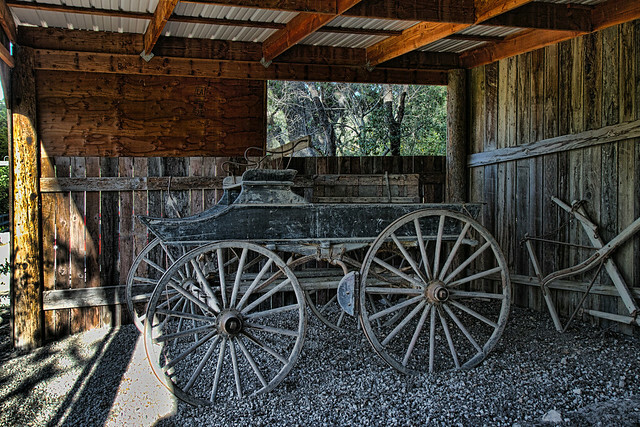 This 1880s spring wagon (right) was originally used by Auguste and Pauline to make the two-day trek over the hill to Cayucos to meet the clipper ships for supplies and mail for Adelaida. Their daughter-in-law Alexandrine later rode the wagon in the Pioneer Day Parade.